www.justhearaudio.com For music promos, remixes, booking or any other info: E-Mail: zagiba.richard@gmail.com Phone: +421 911 176 667 I am providing also analogue mixing / mastering services. For more info visit www.justhearaudio.com -------L A B E L S----- TRAUM Schallplatten aLoLa Records Sexonwax Disclosure UK Reworck Egothermia Clubsonica LOOQ MNL Stripped Dopamine Music SYSTEM RECORDINGS Stellar Fountain Baroque YIN :: YANG Symmetric Suffused Music Molecule Recordings SETA Label Stripped Digital BQ Recordings Inmost Records Massive Harmony Records The origins of the computer era meant introduction to the world of electronic music also for then-unknown DJ RiZa opportunity to compose songs of their own creation which reflects the current perception of time. His inspiration was still unforgettable Prodigy, Chemical Brothers, Daft Punk and others like them. With the advent of the new millennium, he was first time in touch with the mixer and learned to mix on turntables with assistance of Roland Kadela. He watched the EDM scene itself, until recently, with the high view and extraordinary inspiration for world leaders such as Sasha, John Digweed, Hernan Cattaneo and others... Under the influence of this development has been adapted his style to mixture of dark & deep progressive sound with transitions to tech-house/deep house and melodic techno reflecting the sound of top underground scene. 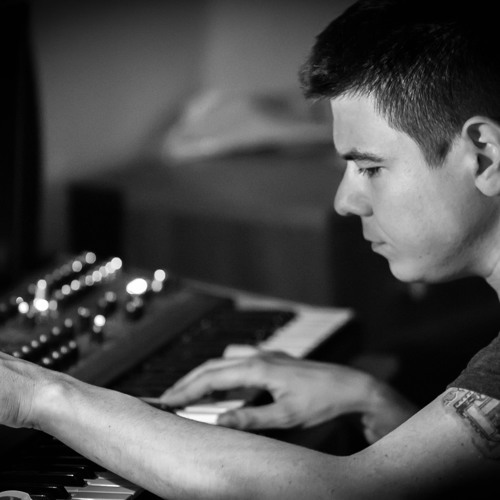 In 2013 he started with successful music production. For now he has releases on top world labels such as Traum Schallplatten, System Recordings, Stellar Fountain, Sexonwax etc..